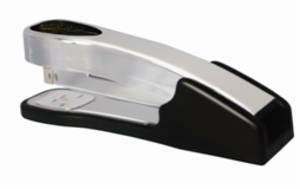 The Stainless Steel Heavy Duty metal constructed stapler is designed for stapling up to 50 sheets. It's ideal for printing shops, offices, schools and individual uses. Throat depth adjustable up to 3.25"